Yes, the Google Home Hub & All Google Home Devices Work With The Nest Hello Doorbell. 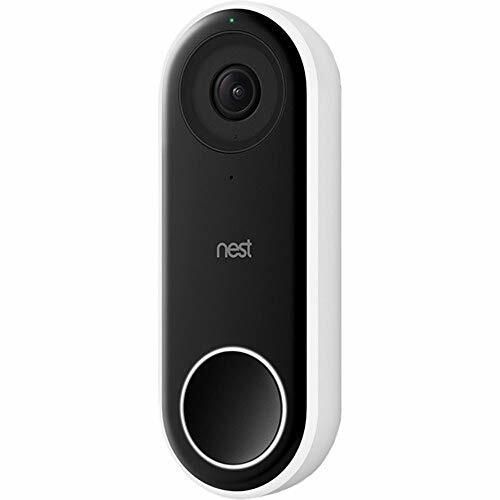 We teach you how to connect your google home hub or other google home device to the nest hello doorbell below.The nest hello doorbell works with all google home devices including the Google Home Hub, Google Home, & Google Home Mini. However Google Home Hub with it’s 7” screen offers the most functionality with the nest hello and will allow you to view the live stream of your nest hello doorbell on your google home hub. With the google home hub connected to nest hello you can see and hear who is at your front door with the nest hello doorbell. It allows you to have two way communication with whomever is at the front door as long as they press the doorbell button. When the doorbell button is pressed the google home hub will both “chime” and display a microphone button on the google home hub and once you press it you can begin talking with the person at the front door. You can still pull up the live video feed of your nest hello at any time on your google home hub but it won’t allow you allow you to have two way communication unless someone presses the doorbell button. You can still have two way communication at anytime through your cell phone or compatible tablet and the nest doorbell even if the doorbell button has not been pressed. We hope Google ads this two way communication feature to the to the Google Home Hub in the future as it would increase the functionality and usefulness of the combination of the nest hello doorbell and Google Home Hub. Does Google Home Hub Work With Nest Hello? Yes, you can talk through your Google Home Hub to someone at your front door. The Google Home & Google Home Mini Don’t have a screen but they still work with the Nest Hello doorbell to “Chime” like a doorbell if someone presses your doorbell button and announce that someone is at the front door. 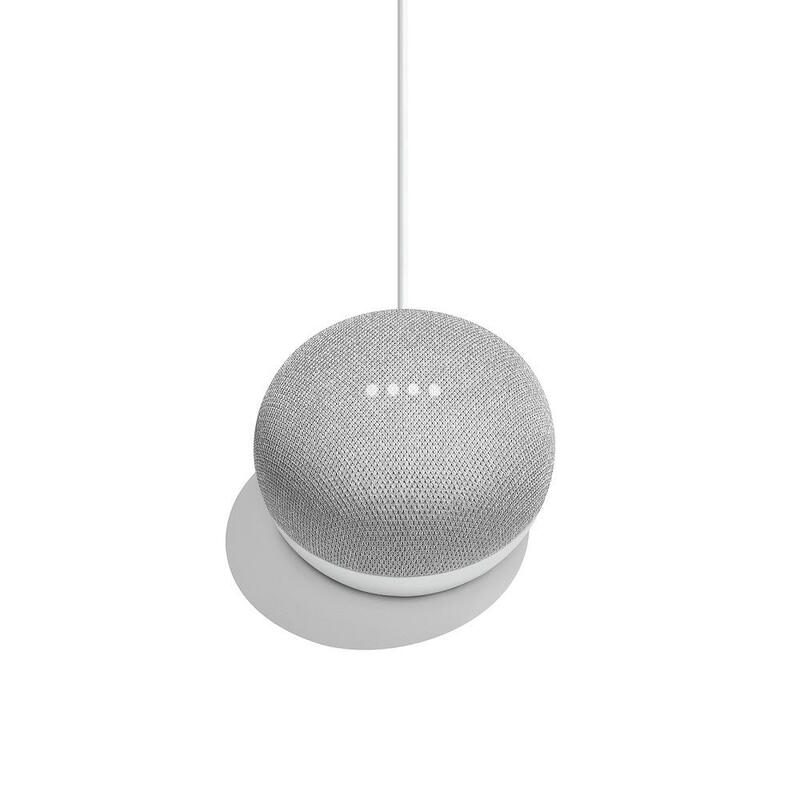 Functionally the Google Home & Google Home Mini are the same thing but the Google Home has a larger speaker and was Google’s first iteration of its smart home speaker. I prefer the Google Home Mini as it’s smaller form factor makes it more inconspicuous and the sound quality difference between the two speakers is negligible. For high quality sound I recommend sonos speakers. Once you set up your nest hello doorbell and your Google Home Hub it will allow you to see a live feed of your nest hello smart doorbell. 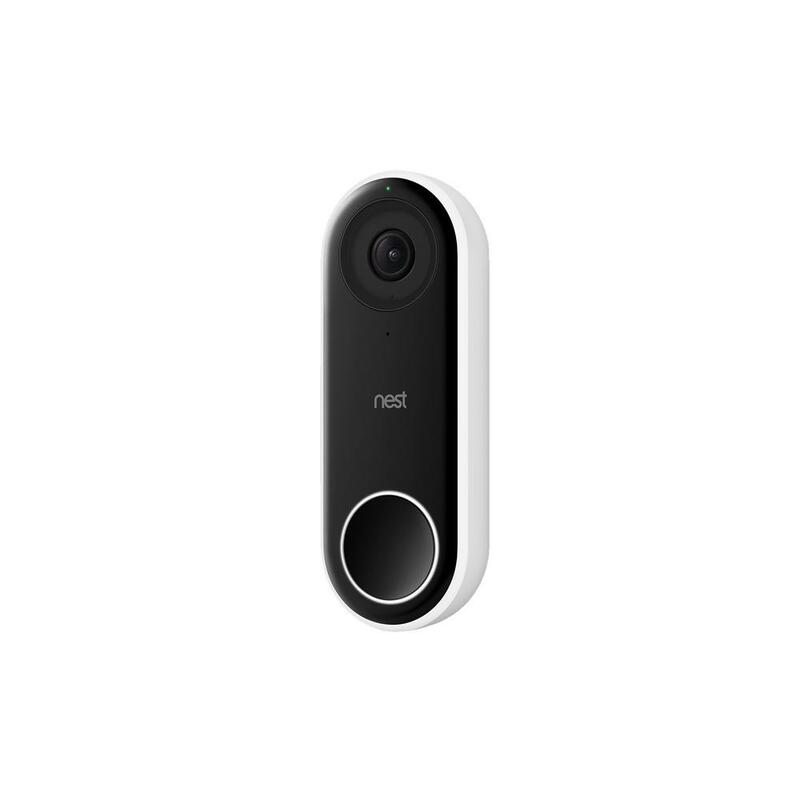 It's a great option to quickly pull up your nest doorbell feed, and ideally located in an office or kitchen to see who's at the front door quickly just with a short voice command. You can see a live view example of the nest hello feed on the Google Home Hub. The Google Home Hub can work as a doorbell chime with the Nest Hello doorbell. It will display the live doorbell feed and allow google home nest commands and supports the “chime” feature. 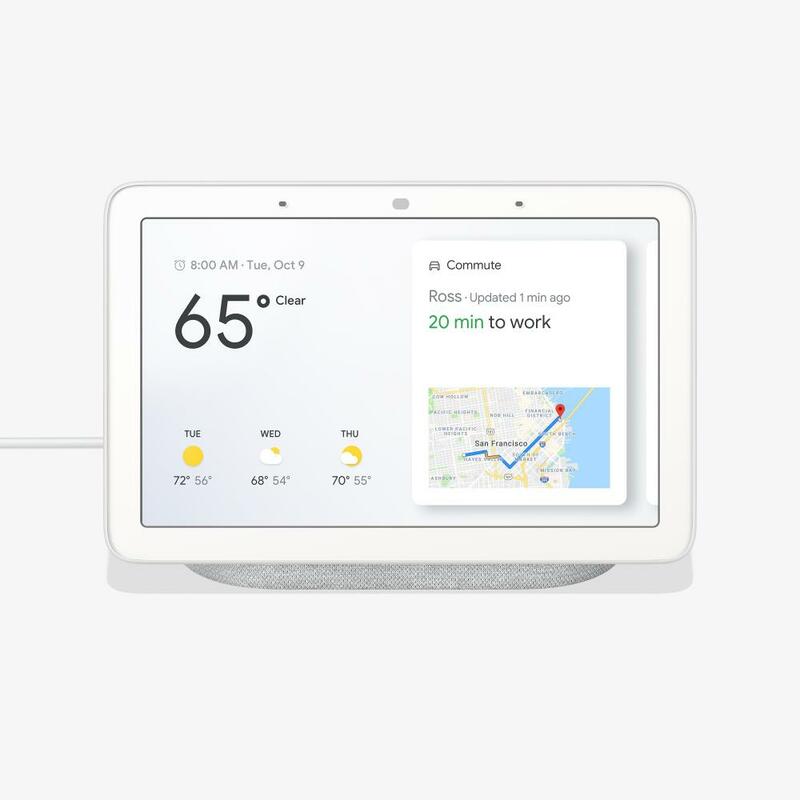 The Google Home Hub, Google Home Mini and Google Home all work with the “chime” feature and and announce someone is at your front door with voice. While this article focuses on connecting your nest Hello and Google Home Hub. The nest hello also works with the Alexa and the Amazon Echo Show & Amazon Echo Spot. How to connect your Google Home Hub to your Nest Hello Doorbell. To get the nest video feed on your google home mini you will need to set up your google home device and your nest hello, download the google home app and the google assistant app on your phone and set both up. Below we include the flow chart for connecting your nest hello in google home but we also include the step by step written instructions below. These instructions will also work if you want to connect your google home mini as remote doorbell with your nest hello doorbell. Connect Google Home Hub To Nest Hello. These instructions also work to connect google home mini as a remote chime to nest hello. 1. Install the nest hello doorbell and complete the set up through the nest app. 2. Download, install and setup the Google Assistant App. 3. Download, install and setup the Google Home App. It’s important that you setup and sign into both the Google Assistant App & The Google Home App. The google home app allows you to connect to and view your nest hello doorbell through a smart speaker like the Google Home Hub. The google assistant app allows you to control the smart speaker through the "Ok, Google" function on your smartphone even if you don't have a smart speaker. But you need both of these apps for proper functioning within the Google ecosystem. 4. Open the google home app and either sign in or create an account. Plug in your Google Home Hub and follow the instructions to setup and connect your Google Home Hub. 5. Once you are logged in click on the menu in the upper left hand corner of the app, scroll through and click on the home control tab. 6. The home control screen will open and you can click on the + symbol located in the lower right hand corner of the app. 7. Then search for "nest" in the search bar for the smart skills to add to the google home. 8. Select the nest app and login in with your username and password. 10. Your nest hello lock is now connected to google home and can be controlled with voice. 11. Say "Ok, Google show me my front door. " Once you Click on Cameras, the listed cameras Will Display. Choose The Your Nest Hello DOORBELL. In this Case Our Doorbell Is Labeled FrONT DOOR. You Can View THE NEST HELLO DOORBELL ON THE GOOGLE HOME APP ON YOUR PHONE OR THROUGH THE COMPATIBLE GOOGLE HOME HUB. The google home hub offers the most features in the Google Home lineup with it’s 7” touch display screen, smart speaker and microphone. You should notice though that the Google Home hub does not have a camera for video chat like the competing Amazon Echo Show & Facebook Portal. To some this is a good thing as it ensures visual privacy, others will want the two way video chat features that on the Echo Show & Facebook Portal. The Google Home Hub has decent sound quality that you can comfortably play music on while working or listening at a desk, it’s not ideal to fill an entire room with sound, for that sonos speakers would better serve you. The google home does what it was designed to do which is provide you with an economical and a voice & touchscreen interface for your home. It’s a little speaker packed with big features. The Google Home mini offers all of the same features without the screen of the Google Home Hub. 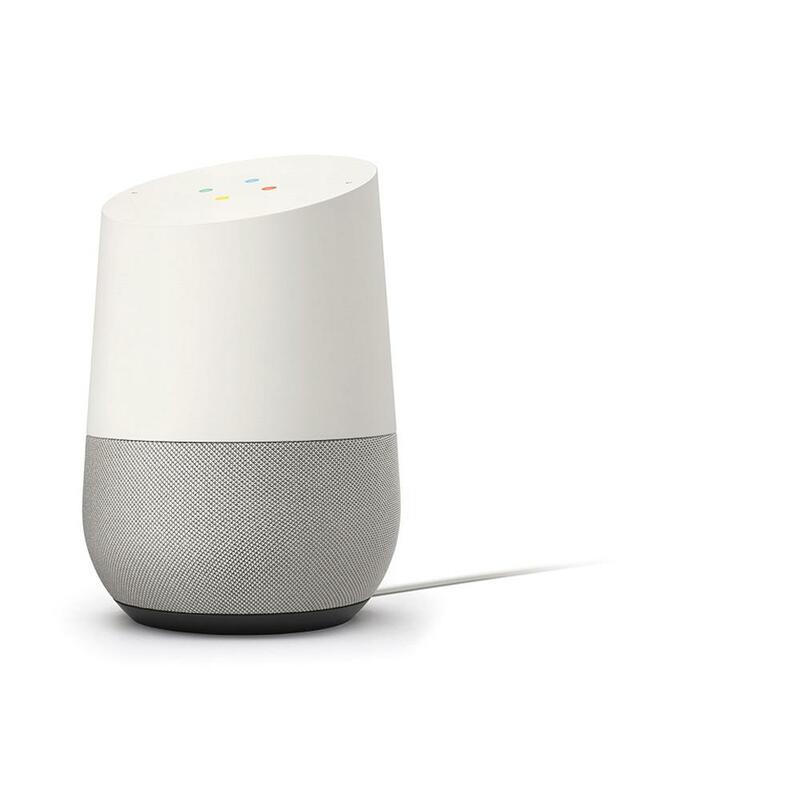 The Google Home Mini is Google’s direct answer to the competing Amazon Echo Dot. Typically priced at $50 or less the Google Home Mini is the least expensive of the Google Home Speakers that work with the nest hello. It doesn’t have a screen so you can’t view your nest hello on the the Google Home Mini but it will “Chime” like a traditional doorbell and announce in voice to you that ‘“someone is at your front door.” If you don’t have an existing doorbell chime, or it is hard to hear your doorbell chime in parts of your house the Google Home mini is the perfect companion to your nest hello doorbell with it’s “chime” feature, just plug in the Google Home Mini anywhere and you have all the features of the Google Home Mini combined with it’s doorbell chime. Related Post: How to use your Google Home Mini as a doorbell chime. Google Home…..where do I begin, it’s right in the middle of the Google Home lineup and it’s just like the middle seat of an airplane, it’s not ideal but it gets you from point A to B. It’s more expensive than the mini, and larger with marginally better sound quality but it doesn’t have a screen like the Google Home Hub. However some people have fallen in love with it’s design and there’s even a miniature cult following of Google lovers who dress up their Google Home with all kinds of custom designs. Personally I prefer the Google Home Mini and Google Home Hub. However I am tempted to put my Hub in Tux so can experience the true luxury of having a digital butler. Can you use Google Home Mini as a doorbell chime? Google does allow nest to send the "ding dong" notification to use your google home mini or google home as a doorbell chime. The Google Home Hub also supports the chime notification feature. Connecting the Google Home mini to your nest hello doorbell is great if you don't currently have a working doorbell chime or if you want to hear your doorbell chime far away from your hardwired doorbell chime. Can you adjust the viewing angle of the nest hello? Yes, the nest hello comes with an insert that allows you to adjust the viewing angle by 15 degrees. If you need more adjustment there are aftermarket wedges available on Amazon that allow up to 35 degrees of viewing angle adjustment or more. Does the nest hello work at night? Yes, the nest hello has night vision and is perfectly capable at night. What Voltage does the nest hello require? What Colors does the nest come in? Are there multiple options? As of November 2019 the nest only comes in one color with a white case and black face. However there are multiple 3rd party options on the market available on Amazon that allow you to either put a “skin” over the face of the nest hello or cover the nest hello case with a silicone cover. Will my Nest Hello Get Stolen? Probably not. Of the thousands of people that visit this website daily and the thousands of installs we have completed with our partners we have not heard of single case of the nest hello being stolen. Why? Because you would be on camera stealing it, and it takes the custom nest tool to remove the nest doorbell. If your nest doorbell has been stolen please leave a comment below, and send us a picture or share your story of what happened. If the comments are empty, it’s probably safe to assume it doesn’t happen much. How do I remove my Nest Doorbell? inside the nest doorbell box there is a small metal tool that is inserted into the underside of the nest hello to release the spring holding the nest in place. You might need to remove the nest hello if you are moving or if you want to change your wifi network you will need to scan the QR code on the back of the nest hello. What doorbell chimes work with nest hello? You can use a google home or google home mini device as a doorbell chime, or most hardwired mechanical chimes like this will work. IMPORTANT: As of November 2018 the Google Home Hub does not work as a doorbell chime with the nest hello doorbell. Only the google home or google home mini will work as remote doorbell chimes. 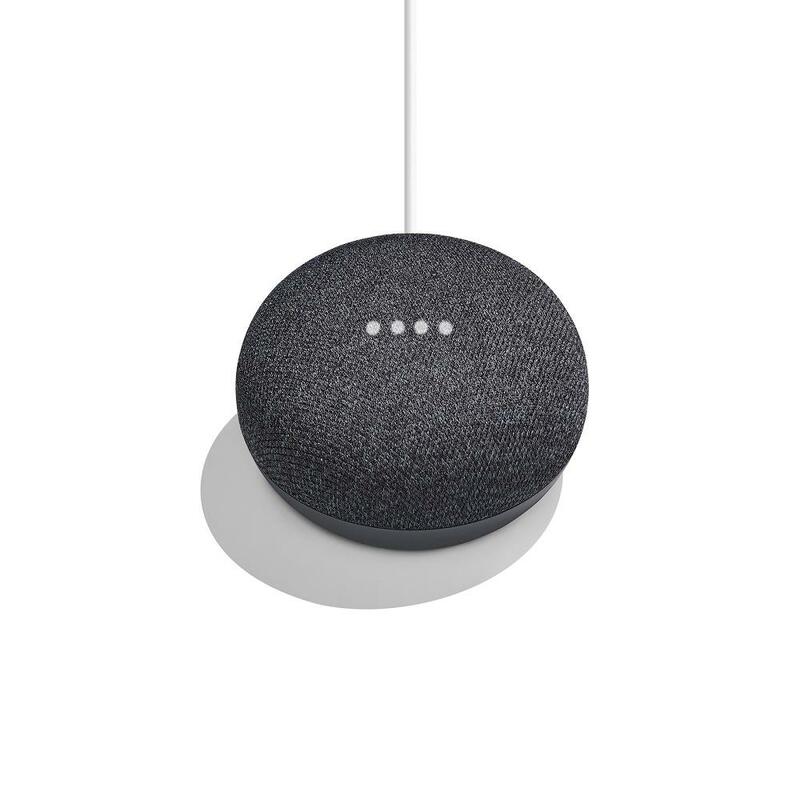 We recommend the using the google home mini as a remote chime because of its small form factor and low cost. What transformer should you use for your nest hello? Can I use a plug in transformer for the nest hello doorbell?